Is your smoke detector operational? Do you have a smoke detector? Smoke alarms provide an early warning of a fire, giving people additional escape time. 1) In 2009-2013, smoke alarms sounded in more than half (53%) of the home fires reported to U.S. fire departments. 2) Three of every five home fire deaths resulted from fires in homes with no smoke alarms (38%) or no working smoke alarms (21%). 3) The death rate per 100 reported home fires was more than twice as high in homes that did not have any working smoke alarms compared to the rate in homes with working smoke alarms (1.18 deaths vs. 0.53 deaths per 100 fires). 4) In fires in which the smoke alarms were present but did not operate, almost half (46%) of the smoke alarms had missing or disconnected batteries. 5) Dead batteries caused one-quarter (24%) of the smoke alarm failures. Don't be one of those statistics. 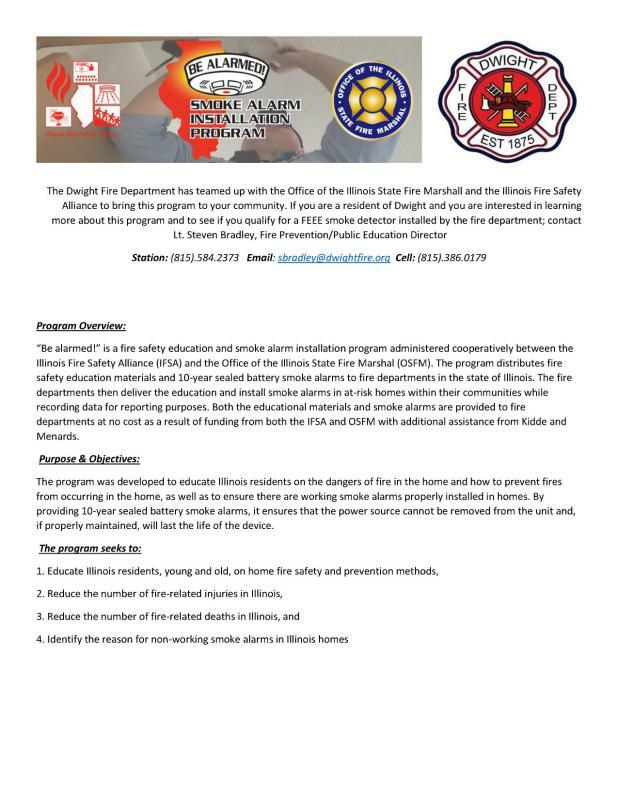 Call your fire department about the smoke detector program going on now.